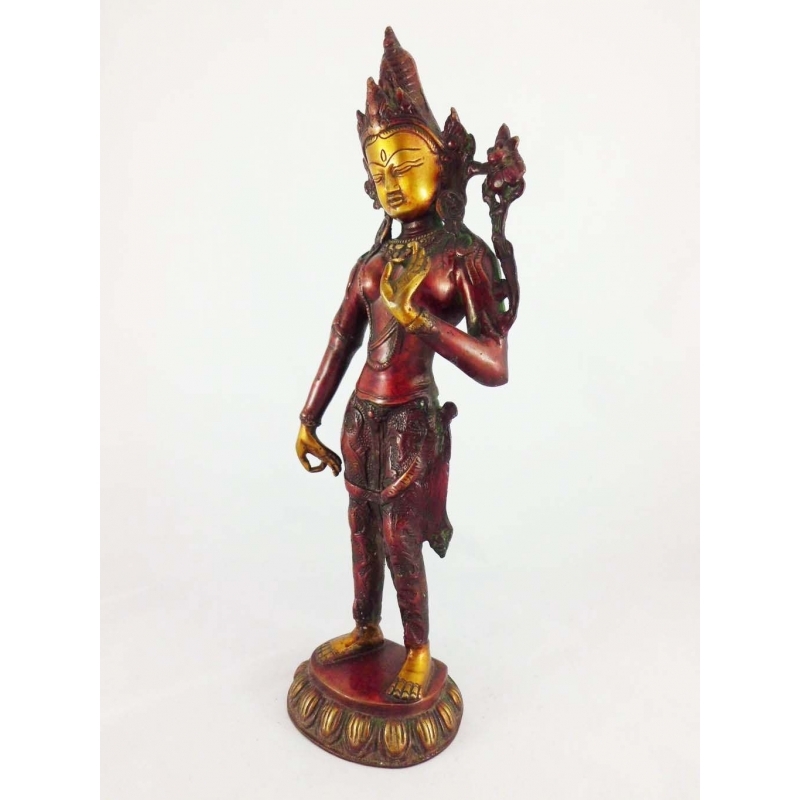 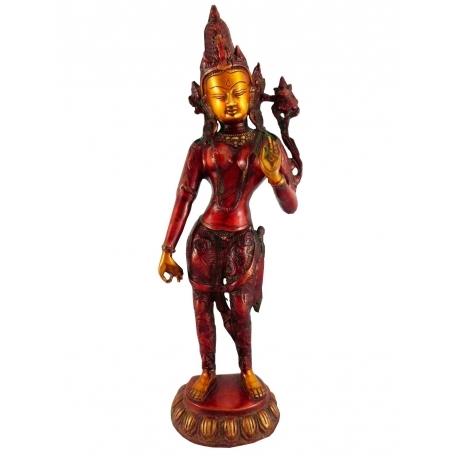 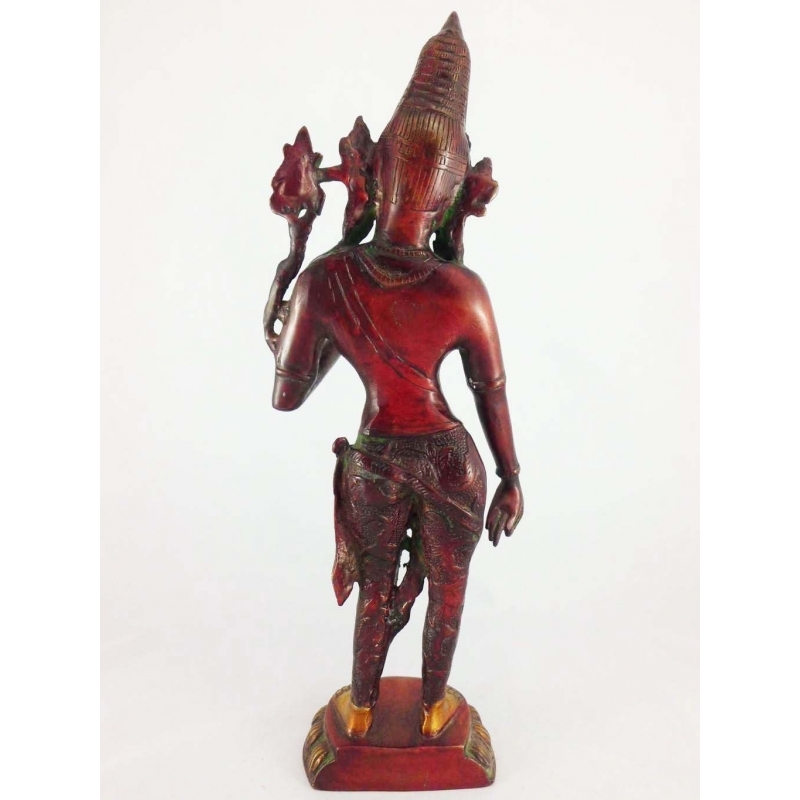 Tara is a buddhist feminine goddess associated to Tantra and compassion. 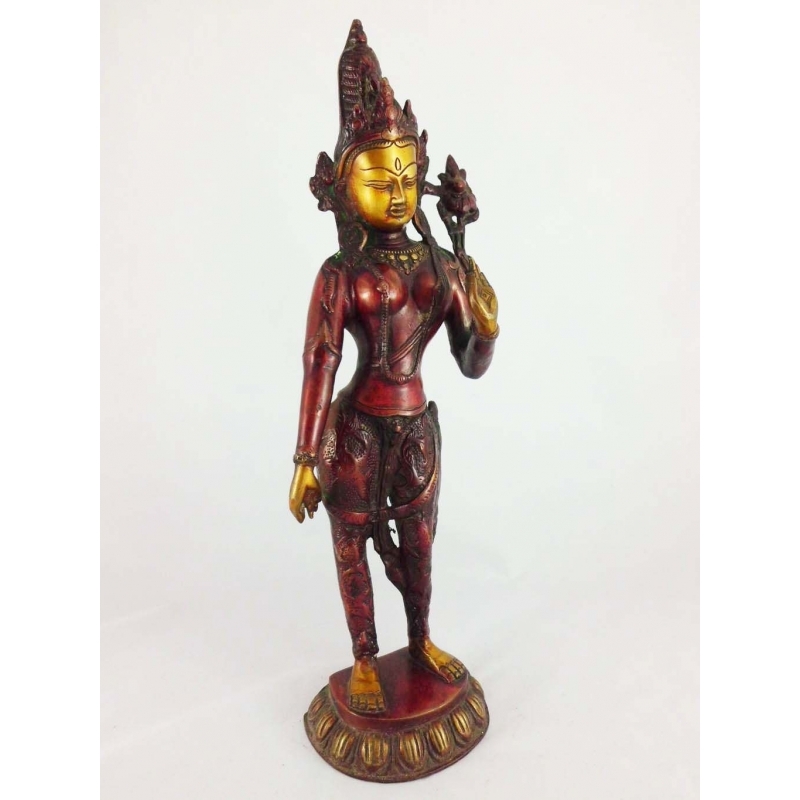 Despite her Hindu origin, she is the mother of Tibet and all Buddhas. 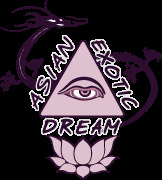 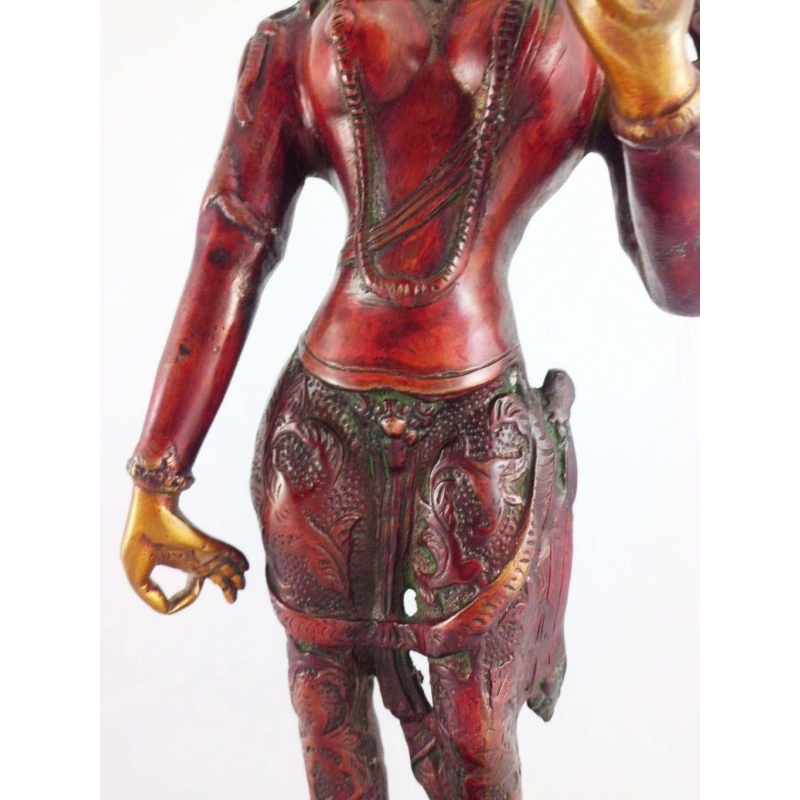 She is the female aspect of Avalokitesvara, the Lord of compassion. 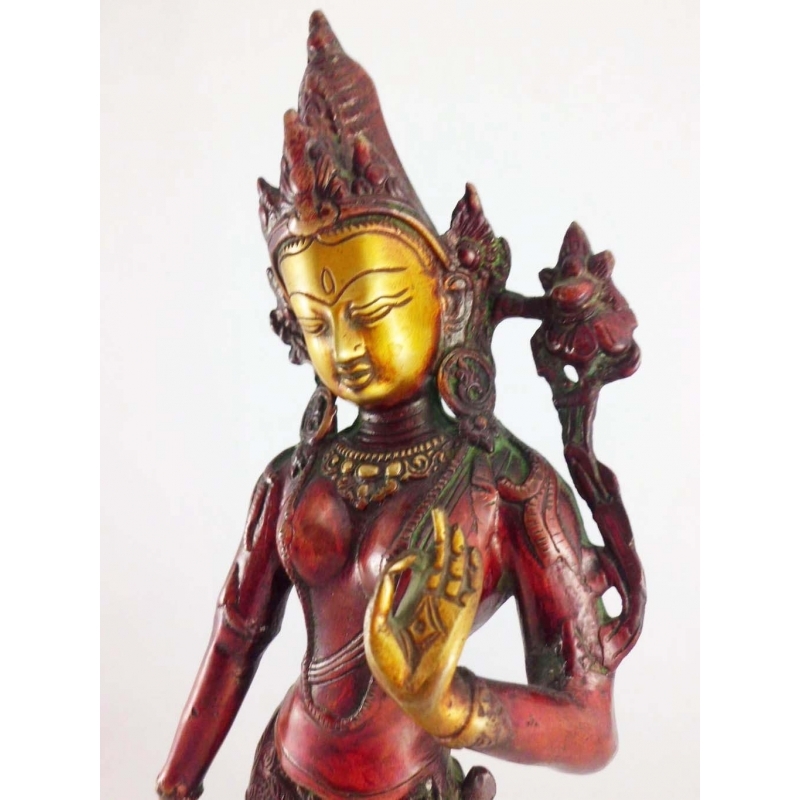 And she is also a Bodhisattva that means a Buddha who has been enlightened and devote her life to help all sentient beings become enlightened. She has eyes in both hands and feet, in addition to the forehead and the face, that help her to see the suffering of all beings. 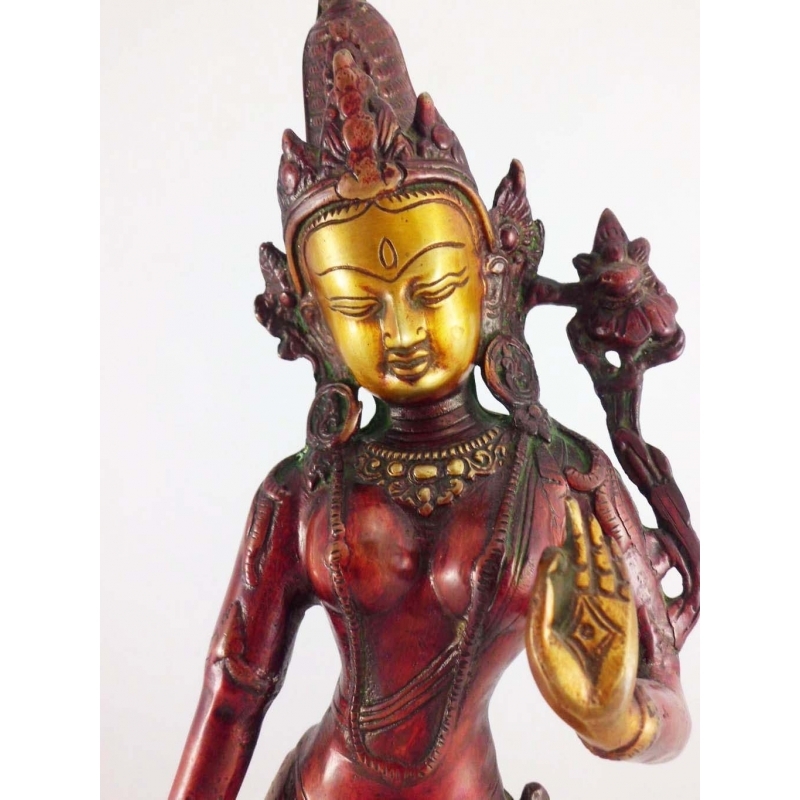 Moreover, she transmits the teachings of non-attachment and love. 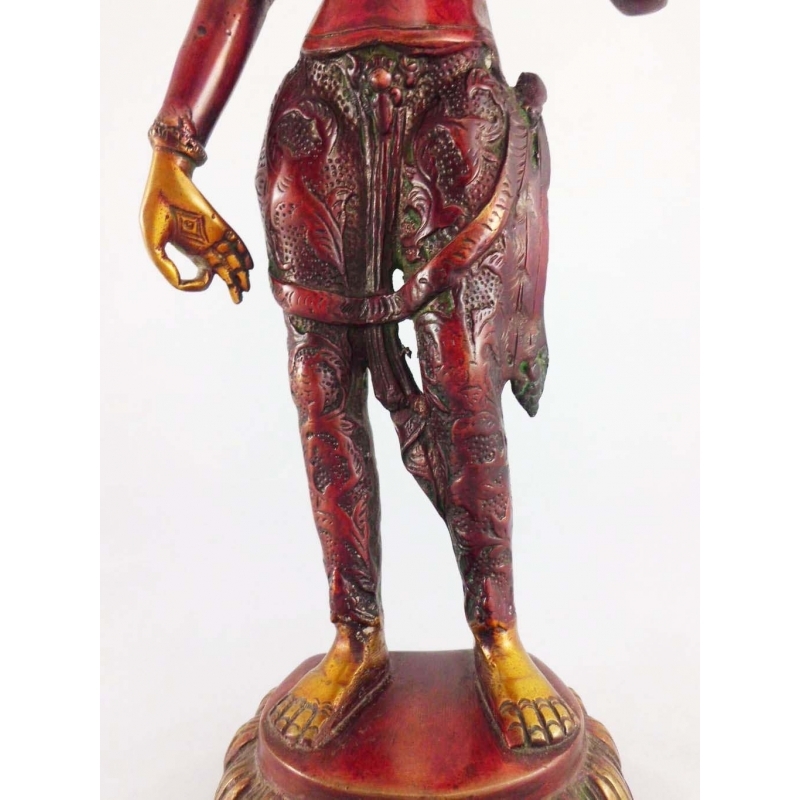 The weight of the statue is approximately 2270 grams and it is made of brass, according to the North Inda's style.